Stop Smoking Hypnotherapy has successfully helped many clients to Stop Smoking in one intensive session, in the comfort of our therapy rooms in Edgbaston, Birmingham and Kenilworth, Warwickshire. The main reason smoking is addictive is because tobacco contains nicotine. Nicotine causes addiction in much the same way as heroin or cocaine and it is just as addictive as these ‘harder’ drugs. But using nicotine itself (for example in NRT) won’t make a difference to your risk of cancer. Cigarettes are deliberately designed to give you a fast nicotine hit – it takes less than 20 seconds for the drug to reach your brain from inhaled cigarette smoke. 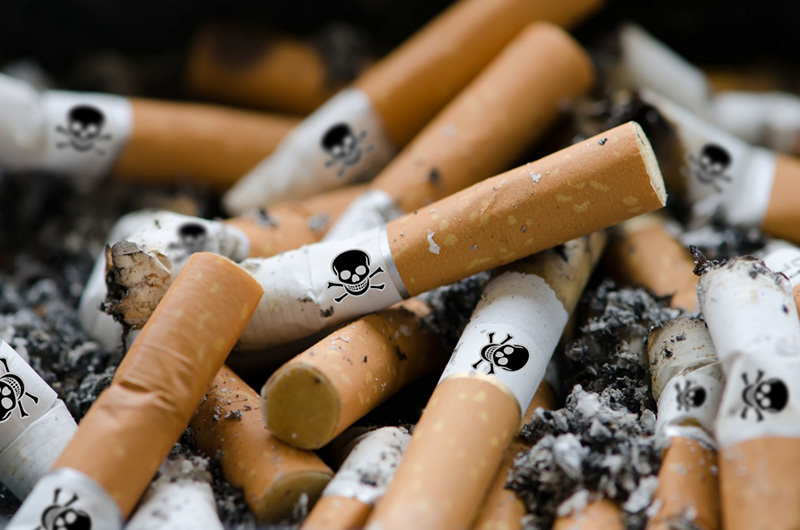 Chemicals in cigarette smoke enter our blood stream and can then affect the entire body. This is why smoking causes so many diseases, including at least 14 types of cancer, heart disease and various lung diseases. Smoking causes more than 4 in 5 cases of lung cancer. Lung cancer survival is one of the lowest of all cancers, and is the most common cause of cancer death in the UK. Smoking also increases the risk of at least 13 other cancers including cancers of the mouth, pharynx (upper throat), nose and sinuses, larynx (voice box), oesophagus (gullet or food pipe), liver, pancreas, stomach, kidney, bowel, ovary, bladder, cervix, and some types of leukaemia. Smoking could increase the risk of breast cancer, but any increase in risk is likely to be small. Smokers have a much higher risk of lung cancer than non-smokers, whatever type of cigarette they smoke. There’s no such thing as a safe way to use tobacco. Filters and low-tar cigarettes make little difference – your lung cancer risk is not lower compared to smokers of average cigarettes. This may be because smokers tend to change the way they smoke in order to satisfy their nicotine craving, for example by taking bigger puffs or smoking more cigarettes. The more cigarettes you smoke a day, the higher your risk of cancer. If you aren’t able to quit completely, cutting down the number of cigarettes you smoke a day can be a good first step. Even light or social smoking can harm your health. Scientists have found that the number of years you spend smoking affects your cancer risk even more strongly than the number of cigarettes you smoke a day. For example, smoking one pack a day for 40 years is even more dangerous than smoking two packs a day for 20 years.The best way to reduce your risk of cancer is to give up smoking completely. The main way that smoking causes cancer is by damaging our DNA, including key genes that protect us against cancer. Many of the chemicals found in cigarettes have been shown to cause DNA damage, including benzene, polonium-210, benzo(a)pyrene and nitrosamines. This is already bad news, but it’s made worse by other chemicals in cigarettes. For example chromium makes poisons like benzo(a)pyrene stick more strongly to DNA, increasing the chances of serious damage. And chemicals like arsenic and nickel interfere with pathways for repairing damaged DNA. This makes it even more likely that damaged cells will eventually turn cancerous. Smokers are also less able to handle toxic chemicals than those with healthy lungs and blood and are more susceptible to the onset of COPD (chronic obstructive pulmonary disease), which includes chronic bronchitis or emphysema. Chemicals in cigarette smoke make it harder for smokers to neutralise or remove toxins, and can make their immune systems less effective too. Our bodies are designed to deal with a bit of damage but it’s hard for the body to cope with the number of harmful chemicals in tobacco smoke. Each cigarette can damage DNA in many lung cells, but it is the build up of damage in the same cell that can lead to cancer. However research has shown that for every 15 cigarettes smoked there is a DNA change which could cause a cell to become cancerous. This is why it’s better to give up smoking sooner rather than later. In reality it is not the nicotine in your body that prevents you from stopping smoking, nicotine will only be there for up to 24 hours after you stop, it is the mental craving that causes most people to want to smoke . Hypnotherapy or Psychotherapy. Together we can help you to quit smoking and develop a mind set that when under stress and duress you will not want to smoke. 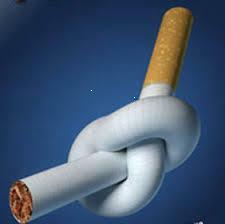 At Stop Smoking Hypnotherapy we have successfully helped many clients to successfully, permanently stop smoking. You can take back control of your Health – You can easily Quit Smoking in one session, allowing you to live a healthier, happier, balanced life- No longer a slave to Cigarettes and Nicotine.